Implement a Whistle Blowers hotline today! Are you aware of any unethical behaviour in your company? Be proactive! Whistle Blowers (Pty) Ltd offers a 24/7 free call facility enabling employees or third parties to anonymously blow the whistle on irregularities within the subscribing company. You are more likely to identify fraud in your business by guaranteeing the anonymity and protection of whistleblowers with an independent Whistle Blowers hotline. Get access to an independent live hotline for your business – operating 24 hours a day. Get professional advice on how to deal with all disclosures. Did you know that 43% of fraud is uncovered by whistleblowers? So don’t hesitate, contact us today to find out how you can prevent fraud in your workplace with our anonymous whistleblowing service. Tips are the number 1 identifier of fraud and occupational abuse according to the ACFE Report to the Nation 2016 Global Study! You are more likely to identify criminal activity in your business by guaranteeing the anonymity and protection of whistleblowers with a Whistle Blowers hotline. 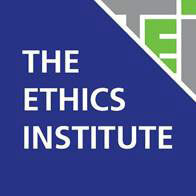 Servicing the corporate industry for the past 19 years with the certification of the Ethics Institute for the 8th consecutive year, gives clients confidence that they are dealing with an ethical and trustworthy organisation. Wherever your operations are globally, Whistle Blowers is in a position to offer our services. We currently service organisations in 25 countries and are still expanding. Whistle Blowers covers all of the 11 official South African languages and much more. With experienced and highly trained personnel, we are equipped to distinguish malicious calls, that allows the protection of innocent parties and saves the client unnecessary admin. We have an in-house training team that can assist clients with the implementation of a whistleblowing programme. This is a cost effective mechanism in educating employees on issues regarding whistleblowing as well as the simple processes of making anonymous disclosures. An effective training programme motivates employees to make use of the facility and dispels the fear factor of making a confidential disclosure. You will have access to a range of reporting platforms, making disclosures easy and accessable to all levels of whistleblowers.